I’ve been wearing Arthur since he was five weeks old. It was a bit of a revelation to me, and in many ways has shaped my whole approach to parenting. In the beginning the world seemed pretty supportive of my choice: there were still those who had something to say about it, but most mums I know wore their babies at least part of the time when they were tiny. However as Arthur’s got older – and bigger – an increasing number of people have felt the need to voice their opinion on me wearing him, from well-meaning friends and family to total strangers in the street or on the bus. 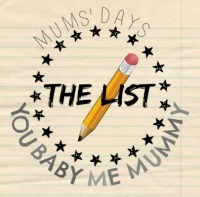 Most people are of course still lovely and supportive, but there are others whose comments range from the slightly irritating to the downright disturbing – and having spoken to other babywearing friends I am by no means the only one on the receiving end of them. So here, in no particular order, is my list of things you might want to think twice about before saying to a babywearing mama. Now I get this quite a lot. I suppose it’s my own fault really, for leaning towards the attachment parenting side of things. But as I’ve said before and I’ll doubtless say many times again I don’t believe that keeping my baby close and secure is going to spoil him. Yes, he’s very happy being worn. But does that mean I should be choosing to follow an approach that makes him less happy, just in case? I think not. Um, yes, thank you for your concern, but this is perfectly safe. (At least it was until you started to undo the buckles!) There are of course precautions to be followed when wearing a baby, just as there are with any means of transporting a child. People have been wearing their babies for hundreds of years, and if I didn’t think it was safe then I wouldn’t be doing it. Now I feel a bit bad about including this one, because I know that most people who say it do so with my best interests at heart. But still, when you hear it several times a day it can get a bit annoying! There are of course carriers on the market (naming no names of the carrier that inexplicably seems to be the most popular despite managing to make newborns feel heavy) that are not as comfortable, for mums or babies. However having fallen in love with babywearing I’ve done my research and found one that is supportive and spreads the (quite considerable) weight of my baby evenly. There are lots to choose from, but the carrier we use now is a Toddler Connecta, designed for babies from 18 months. It’s fab, and I find it decidedly easier to wear my son than I do to carry him in my arms. This one freaks me out a bit to be honest, and depressingly it’s the one I’ve heard most. It’s most commonly uttered by old men, and why they think they can get away with expressing to a mother walking with her child their desire to have their face in her breasts is beyond me. Seriously gross. Do mums with pushchairs get this one? I’ve been hearing it since not long after Arthur turned one, and I’m not entirely sure what the implication is. Yes, he can walk. But like most not-even-two-year-olds his little legs get quite tired when I’m rushing around trying to get things done. And if he couldn’t walk..? Well that would just be entirely inappropriate. And we’re back to that other attachment parenting chestnut. My son is one. Much like co-sleeping and breastfeeding, I very much doubt I’ll still be wearing Arthur when he’s a teenager. I might be wearing him for a while longer yet mind – I’ve been quite inspired by mamas wearing their pre-schoolers, and he still feels light as a feather when I put him on my back. So there we have it: the things I most definitely don’t want to hear whilst I’m wearing my baby. I’d love to hear about your experiences so please share them in the comments below! 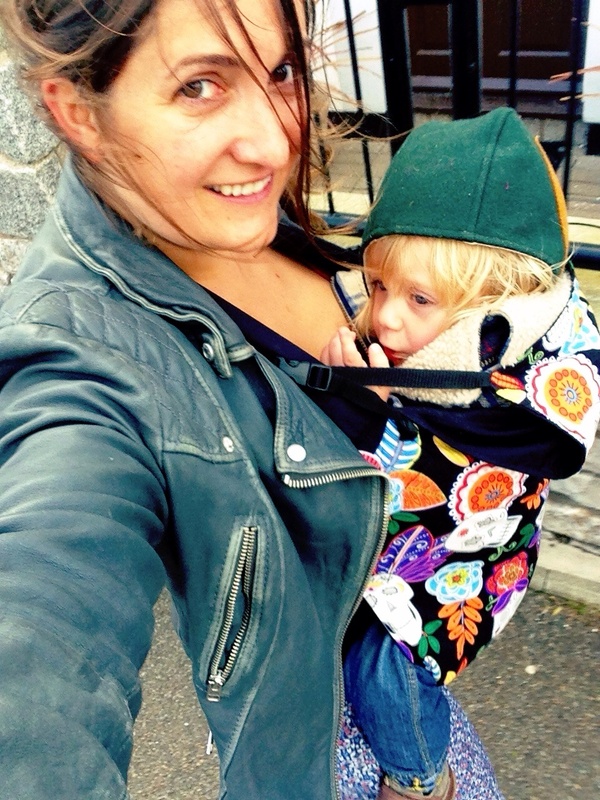 This entry was posted in Sophie is parenting, Uncategorized and tagged Attachment parenting, babywearing, Connecta, toddler on October 9, 2014 by sophieblovett.